Preheat oven to 400 degrees F. Combine dry ingredients. Stir in cranberries. Beat egg, orange juice, oil and orange rind together. Add to the dry ingredients, and stir just to moisten. 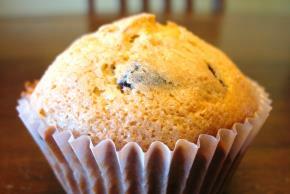 Spoon batter (3/4 full) into greased standard-sized or mini muffin cups. Sprinkle tops lightly with a bit of sugar.